Here you will find information concerning our church and its ministries. 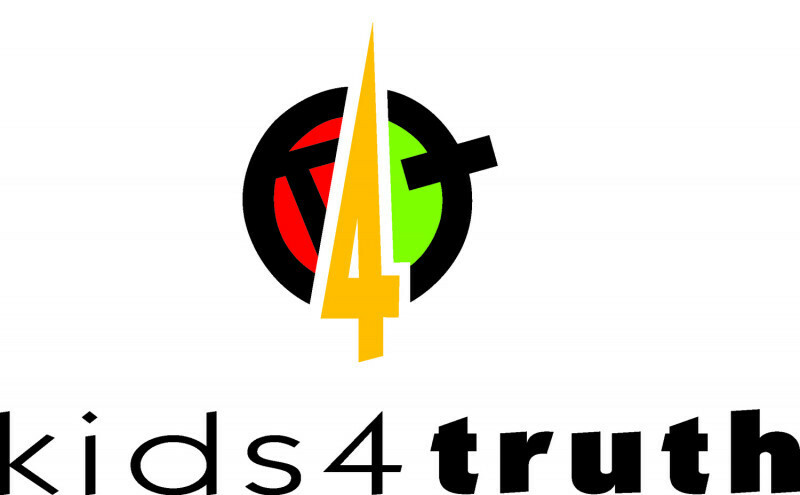 Please browse through the various areas of this website to learn about our fellowship. If you are considering a new place of worship or relocation to this area, we invite you to visit First Baptist Church of Cape Fair. Jesus is our anchor that keeps us steady in a world that is very unpredictable. In the face of families coming apart at the seams and lives being tugged in every direction, we choose to focus on preaching and teaching the timeless, inspired, inerrant, infallible, and all sufficient Word of God that tells the story of Jesus and His love. With those priorites in mind, we are in full fellowship with the General Association of Regular Baptist Churches. For more information about this wonderful ministry, see our links page. At FBCCF, you will find a group of people from this community who love the Lord and are committed to Scripturally living out their faith with love and concern for their neighbors, their country, and their world. We invite you to come and be our guest at one of our services or activities. As we gather, we seek to worship the Lord in spirit and in truth and in simplicity of heart. Come see The Farm Hands in Concert! 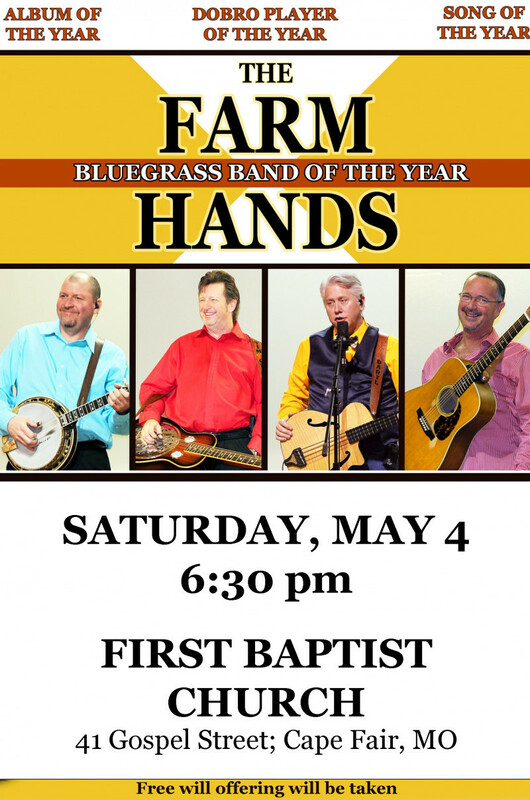 The Farm Hands are one of the most exciting and in demand bands in Bluegrass Music. Since their inception in 2010, the band has received over 80 award nominations, winning an unprecedented 30 major awards including Bluegrass Gospel Band of the Year at the 2019 Bluegrass Music Awards. Join us in an epic journey through the Gospels as we walk with Jesus in "The Greatest Story Ever Told". See Jesus through the eyes of the apostles. FBCCF features a student oriented evening each week staffed by many of our loving and committed adult volunteers. FBCCF has dedicated Wednesday evening activities exclusively to ministering to children and youth in our church family and surrounding community. Each wednesday, we run the church van on several routes begining at 5:00pm and pick up students from the surrounding hills and hollows. We bring them in for a warm meal and an evening of activities and teaching, as well as alot if fun along the way as we instill the Scriptures into their lives. On Sunday Nights, the current series is entitled, "Baptist Distinctives". It is an in depth look at what we believe as a Baptist people and how they have been theological markers for us through the centuries. Baptists have held a traditionally high view of Scripture and we will seek to understand how proper interpretation of God's Word helps us in our life together as God's local church.